This book offers an essential, comprehensive, yet accessible reference of contemporary food security discourse and guides readers through the steps required for food security analysis. Food insecurity is a major obstacle to development and achievement of the Sustainable Development Goals. It is a complex issue that cuts across traditional sectors in government and disciplines in academia. Understanding how multiple elements cause and influence food security is essential for policymakers, practitioners and scholars. 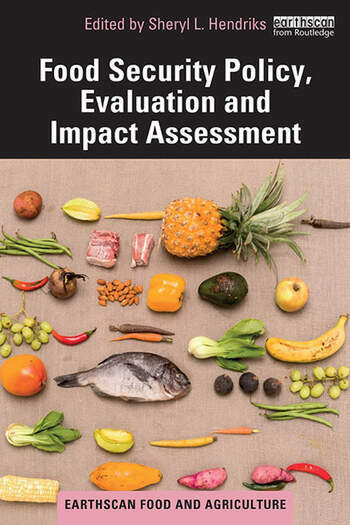 This book demonstrates how evaluation can integrate the four elements of food security (availability, access, nutrition and resilience) and offers practical tools for policy and programme impact assessment to support evidence-based planning. Aimed at researchers, postgraduates and those undertaking professional development in food studies, agricultural economics, rural development, nutrition and public health, the book is key reading for those seeking to understand evidence-based food security analysis. Chapter 20: What next for evidence-based food security policy analysis? Sheryl L. Hendriks is Professor and Head of the Department of Agricultural Economics, Extension and Rural Development and Director of the Institute for Food, Nutrition and Well-being, University of Pretoria, South Africa.